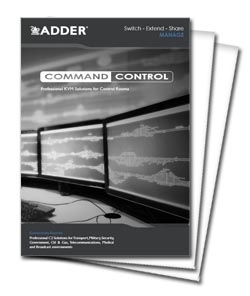 The Adder CCS-LED-5M is an additional indicator lamp for use with the CCS-XB or CCS-XB8 used to identify the active monitor/computer in a CCS-PRO4, CCS-PRO8, or CCS4-USB Free-Flow switching system. 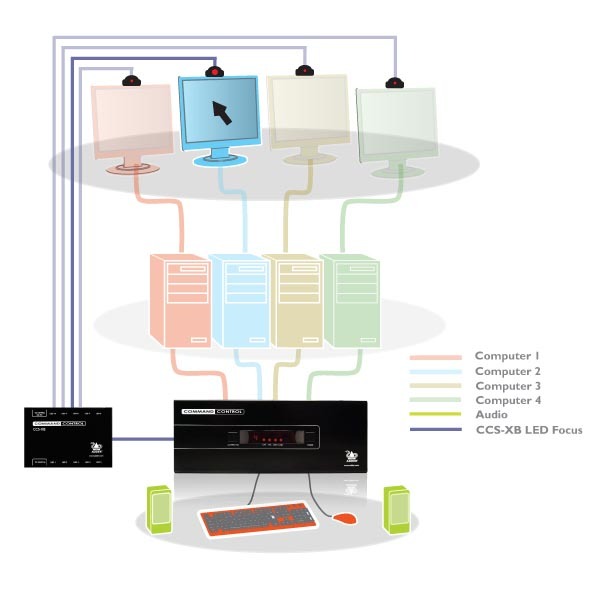 Each LED is housed in a sturdy molded enclosure and provided with an adhesive pad allowing the module to be fixed onto a screen bezel or other surface as required. The LED module is wired with a 16 foot (5 meter) flexible cable that is of oval profile making it easier to tuck into channeling, wall gaps or any similar room features. The LED's color and intensity can be controlled for each screen. A maximum of 10 illumination indicators can be supported. Please note: Requires CCS-XB and a CCS4USB with firmware version 2.0 or higher.